For this week’s edition of Fashion Fridays, The Daily Runner has the pleasure of featuring Miss Mattalin Manning. Mattalin is a super busy girl, who maintains involvement in the Student Alumni Ambassador Program, First Edition: Regent University’s Premier A Cappella Group, and the Student Activities Board. 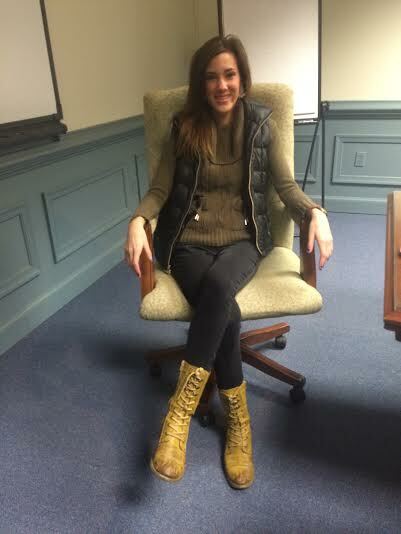 But despite her heavy involvement on campus, Mattalin does not let her crazy schedule affect her own personal style. When she goes out shopping, she likes to hit up THE LOFT and H&M, but online shopping is her favorite method of dropping dough on cute clothes. One of her favorite sites is Vineyard Vines.